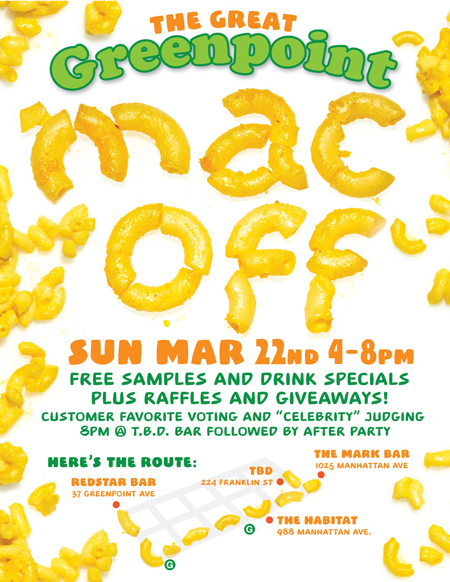 Today is the Great Greenpoint Mac Off. Mark Bar, Habitat, TBD, and Red Star Bar will offer free samples of macaroni and cheese from 4 PM to 8PM. Cast your vote and hang around to find out who the winner is at TBD.